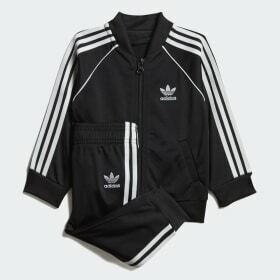 Nothing beats the comfort and convenience of a tracksuit, which is why we’ve designed a range of girls' tracksuits for kids of all ages. 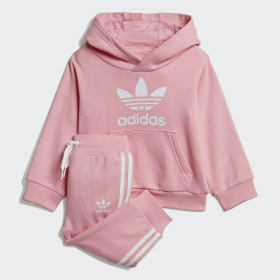 Made from soft cotton fleeces and silky polyester, our tracksuits for girls provide the perfect clothes for lazy days on the sofa and sports activities. 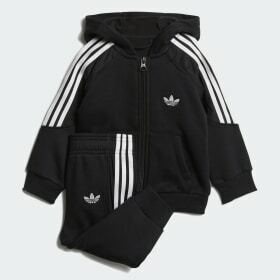 Instantly recognisable worldwide, adidas tracksuits are at the pinnacle of casual street style. 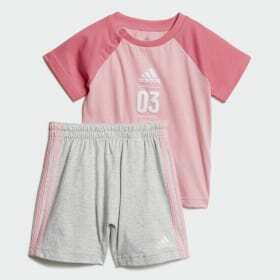 Our girls' tracksuit range includes our classic 3-Stripes and trefoil designs in black, blue and pink with white stripes, as well as modern yellows, oranges, greens and blues. 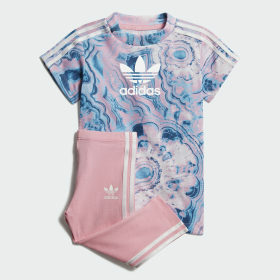 We’ve also created a range of modern graphic designs inspired by world and pop cultures that offer new and exciting ways to express your own energy. 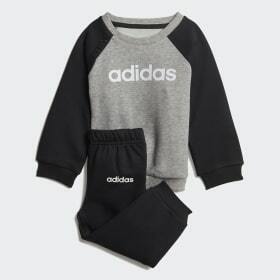 Slim fit tracksuits fit close to the body for easy movement and are ideal for sports or street style. 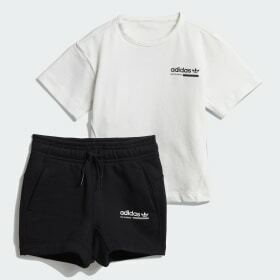 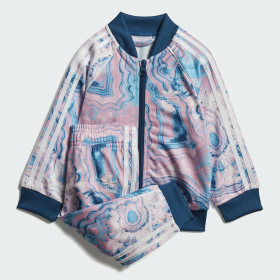 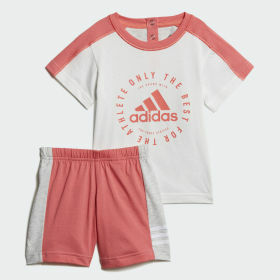 Regular fit girls' tracksuits are the ideal half way house between close fit and loose fit with plenty of breathing room but with a flattering silhouette. 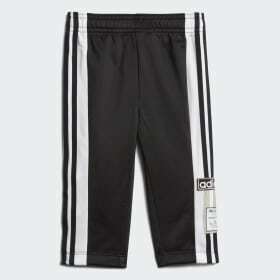 Tracksuit pants offer a drawstring or elasticated waist for an easy slip on fit that won’t slip. 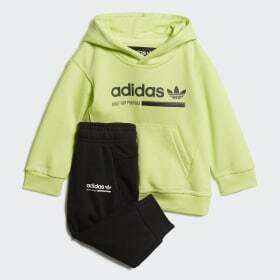 We offer full tracksuit sets and separate tracksuit bottoms, and track tops and jackets perfect for a mix and match wardrobe or to complement existing outfits. 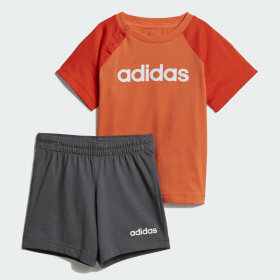 We offer sizes for babies all the way to adult, with sizes starting from 0-3 months. 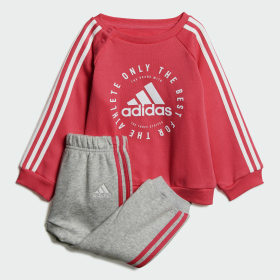 Our tracksuit range includes classic soft cotton lounging tracksuits as well as training and football jackets, perfect for street wear or slipping on after the big game. 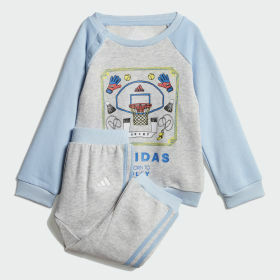 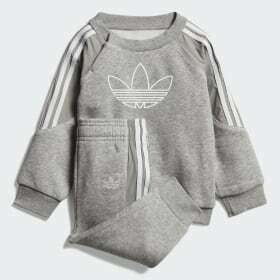 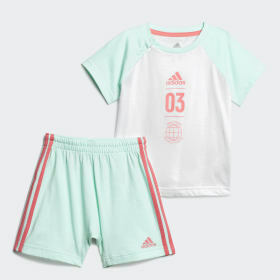 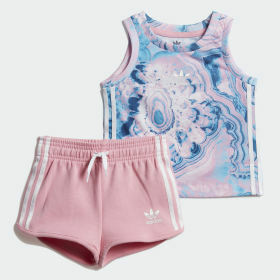 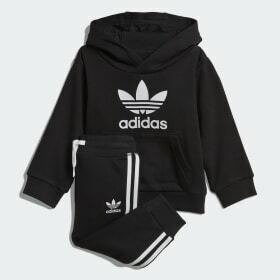 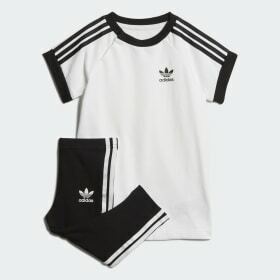 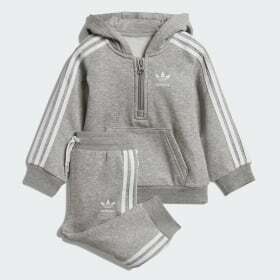 An essential part of every wardrobe, adidas tracksuits offer the best in snug comfort and modern street style for girls.